The process of utilizing various tests to determine the nature or severity of a particular condition, such as imaging, laboratory tests, etc. We strive to produce high quality, diagnostic radiographic studies. Each study is produced with the individual patient’s differentials in mind, including specialty views when indicated. 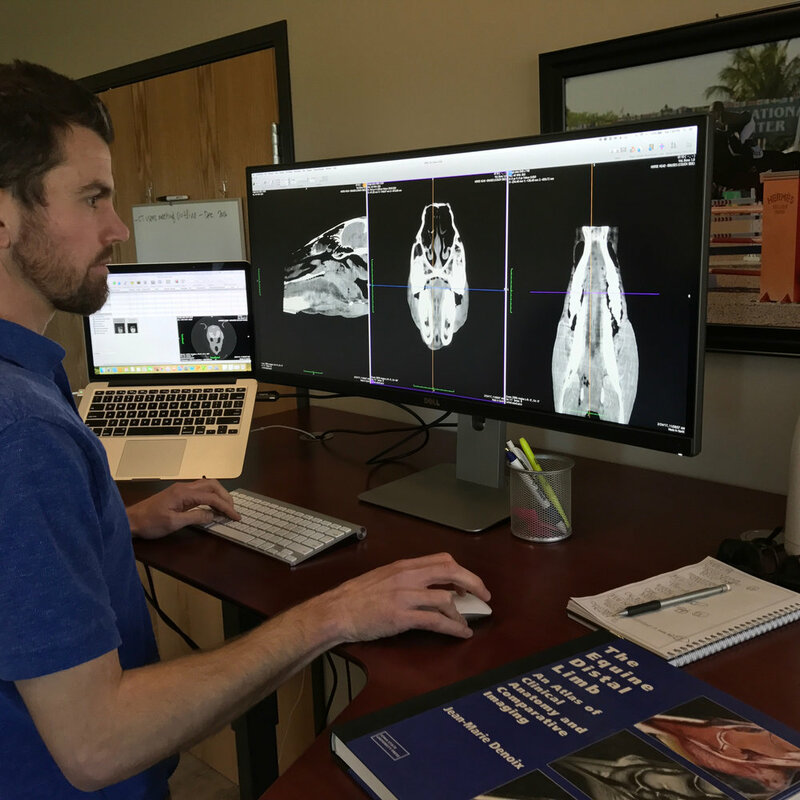 Our radiographic packages are priced to encourage thorough study production which gives our veterinarians and radiographers the ability to produce the best study for your horse. All of our radiographic studies include interpretation by our onsite radiologists. All images are stored in both our onsite and cloud PACs system indefinitely and can be emailed upon request to you. Ultrasonography is a diagnostic imaging technique that can delineate, measure or examine internal body structures or organs. The ability to take and accurately interpret the images produced in ultrasonography comes with experience, practice, and continued education. We are proud to have a team of veterinarians at Circle Oak who are talented ultrasonographers and we strive to ensure that each ultrasound study we produce is thorough and detailed. All images are stored in our onsite and cloud PACs system indefinitely and can be emailed upon request to you. MRI can be the key to reaching a diagnosis for your horse’s lameness. When other diagnostic tools, such as radiography or ultrasonography, have not yielded a diagnosis, the next step is advanced imaging, such as MRI. Standing MRI, which does not require anaesthesia, is a preferred option for many horses and we are proud to be able to offer this service. Our skilled imaging technicians take the time and care to produce high quality studies. Our radiologists then provide expert interpretations of the MRIs, create reports with key images included and discuss the findings with your clinician. All images are stored in our onsite and cloud PACs system indefinitely and can be emailed upon request to you, along with the radiologist’s report. Gastroscopy is the only method to definitively determine if a horse has equine gastric ulcer syndrome. Gastric ulcers have been shown to affect 60% of competition horses and 90% of racehorses. The number of pleasure horses affected is unknown, but it is estimated to be around 50%. This means there is likely a 50/50 chance that your horse is suffering from gastric discomfort of some sort. Gastroscopy allows accurate diagnosis and grading of gastric ulcers. This information plays a vital role in determining an appropriate treatment plan. 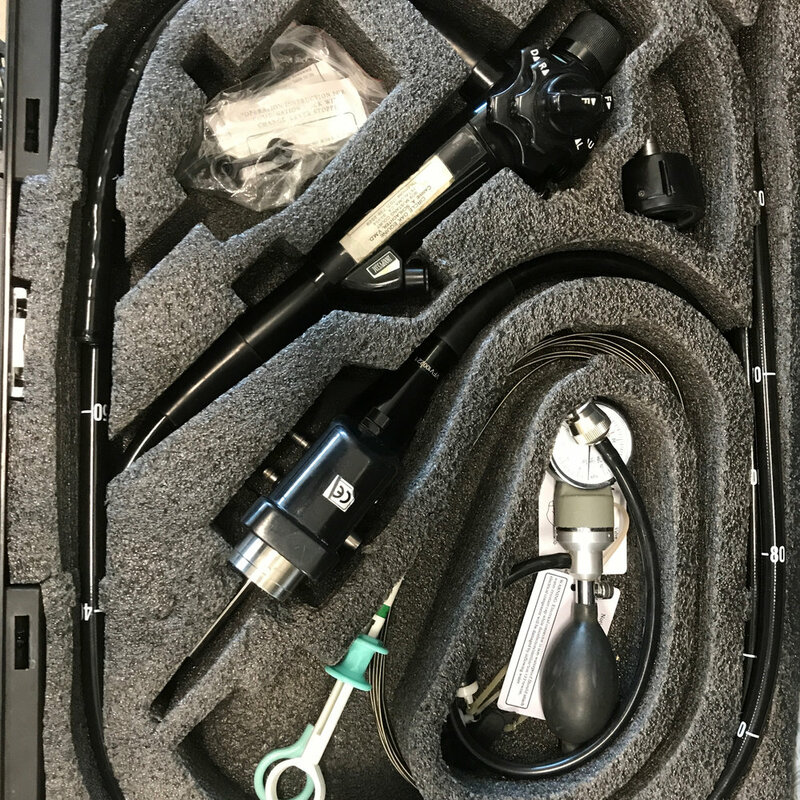 Upper and lower airway endoscopy helps the doctors investigate upper airway noise (roarers) and respiratory conditions such as equine induced pulmonary hemorrhage (bleeders) and equine asthma (heaves). Problems in the respiratory tract are an often difficult to diagnose source of poor performance.